0	0	I needed a neighbour	In Stock - Order before 4pm for same day dispatchWant it on Wednesday 24 April? 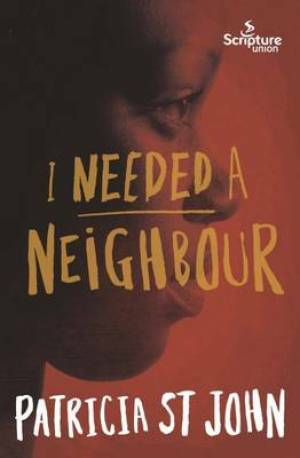 I needed a neighbour by Patricia St John was published by 10 Publishing in October 2015 and is our 2896th best seller. The ISBN for I needed a neighbour is 9781785062834. One of five reprinted children’s classics written by Patricia St John. It is hard to believe and a sad reflection on our times that this was written twenty years ago and it could have been yesterday. This is the story of Mehrit and her four year old brother Tekla in the famine and war torn, drought ridden, lands of North Africa. Her parents are forcibly re-settled further south, leaving the children on their own, and this is the story of how they survive and are re-united with their Father. At many times a sad, even harrowing story, but so true to life that it needs reading. Through all the trauma shines human love and faith in a God who they know little about but they know He cares even unto death. Got a question? No problem! Just click here to ask us about I needed a neighbour.